red | Sophisticated Diva ~ A.K.A. Along came Polly! My advance apologies, some shells and the wristlet are not yet available-some will be released later this month. Can a woman ever have enough red? We don’t think so! Fire-engine red matte croc faux leather features light tan detailing and rivet accents as well as on the side pockets. Feminine and delicate, the Hope (dove) adds a sweet, inspiring touch to casual outfits. Dove silhouettes in black and tan fly through leafy branches against a white cotton sky. She also features taupe pebble-grained faux leather in all the right places. The word “Hope” scattered subtly among the birds is the perfect finishing touch for this enchanting Shell. After Christmas YEAR END CLEARANCE SALE!!! Ladies and Gentlemen, I’d love to personally invite you to the MICHE YEAR END CLEARANCE SALE!! YES!! There are prima, classic, and DEMI SHELLS AVAILABLE at CLEARANCE PRICES!! Check out the Miche Shells on CLEARANCE from Dec 26th at 9am MT through Jan 2 CLICK HERE On December 26th to see them all!!! Here’s a SNEAK PEEK at what’s in store for you!! You’ll find 50-75% off shells and accessories, including HIP BAGS, WALLETS, Fuschia wallet, Bronze leopard wallet, Coin purses, charmers, handles and MORE!! You’ll find $7 and %10 shells, Petite shells, Demi shells, Classic and Prima shells!! SUPPLIES will be LIMITED, SOME will be VERY LIMITED, AND orders are first come, first serve!! All sales are final!! You DON’T want to miss this fabulous sale!! Products will be available to order at 9 am Mountain Time. No bundles are included in this promotion. Remember who told you about this fabulous sale!! Here’s a special “sneak peek” at some of the fabulous items, including white linked handles, pewter rope handles, shells, wallets, and MORE! Spotlight on RED PATENT ~ ON FIRE and Selling Quickly For the Holiday Season! 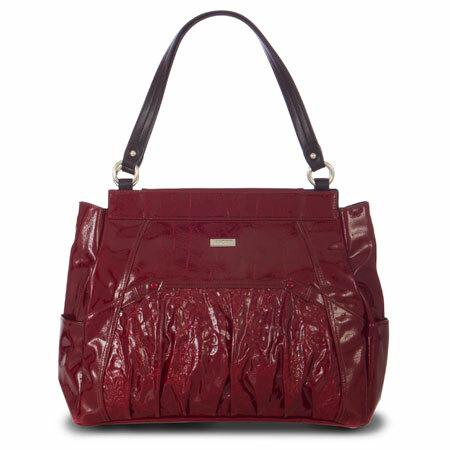 Miche has some phenomenal choices for a splash of red this season, and let me tell you, they are selling like hotcakes! Don’t miss out on these fabulous accessories to make any outfit “pop” this winter! Read more and/or purchase Monica at Polly Workinger Independent Miche representative. Read more and/or purchase the Red Wristlet on my MICHE WEBSITE. Add these to either silver or brass chains! Read more and/or purchase the Interchangeable Handles and Red Patent Straps HERE.